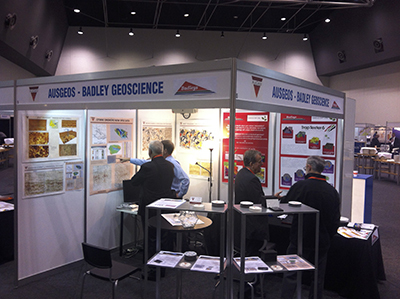 Peter Strauss presenting Azimuthal Processing of a Conventionally Acquired Cooper Basin 3D Survey at the SA/NT ASEG May Meeting in Adelaide. Peter Strauss at the February WA ASEG technical meeting in Perth describing the challenges of Legacy Seismic Data Re-Processing in a presentation called, Image improvements of poor quality legacy seismic data - a case study from the onshore Otway Basin, SA. John Hughes presenting a talk Seismic Surveys and Marine Life: Positive Science and Track Record at the SA/NT ASEG June Meeting in Adelaide. Read John Hughes' keynote speech to SEAPAX here. Martin Novak presenting an industry talk at the SA/NT ASEG August Meeting in Adelaide. 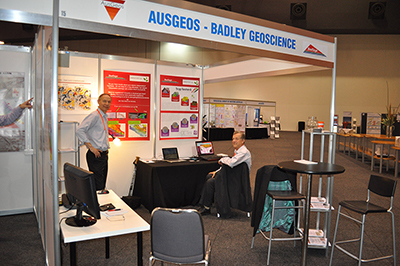 AusGeos got together with Badleys Geoscience to host a booth at the 2013 WABS Conference and Exhibition. 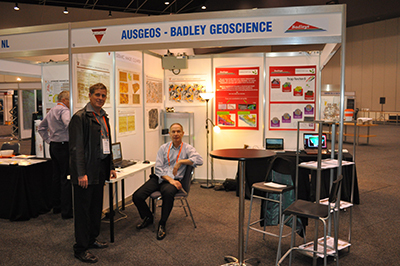 Peter Boult, Peter Strauss and Martin Novak showcased Australian exploration services, seismic processing and TrapTester software over the three day event in Perth. 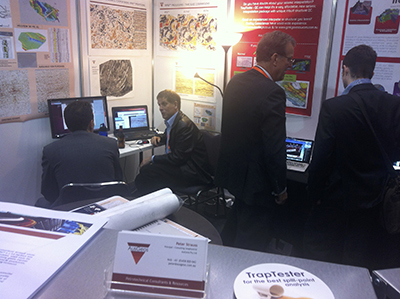 Tell us about your challenging projects, and we'll show you the latest techniques we have for improving the quality of your seismic data.